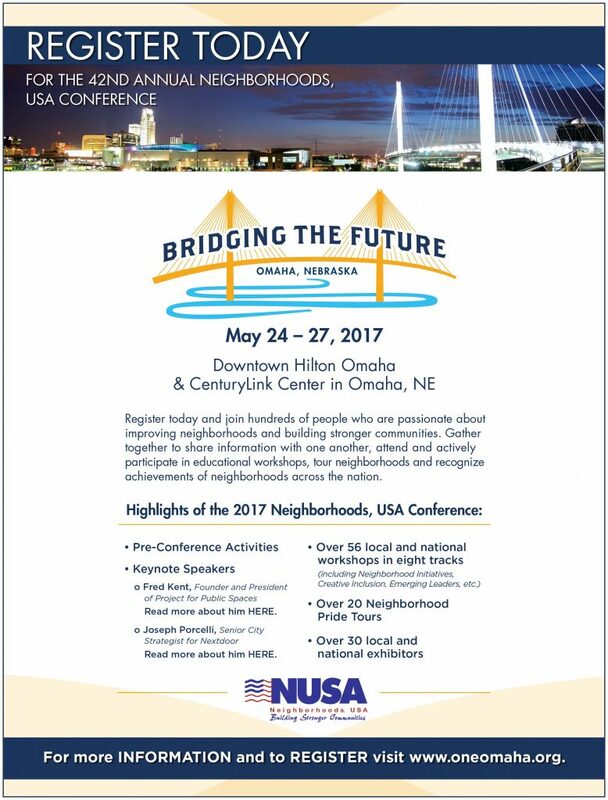 Please see attached the Neighborhoods USA (NUSA) Registration Information for the May 24-27th Conference. FPNA/GNA/Bayliss West and Lincoln/Fairview Neighborhood Associations are sponsoring two of the neighborhood tours during the upcoming NUSA Conference. Conference attendees from around the country will board busses and enjoy sightseeing around our respective neighborhoods, while our own tour volunteers will point out places of interest along the way. Some homeowners will host short inside tours of their homes as well. We hope to see you all there.